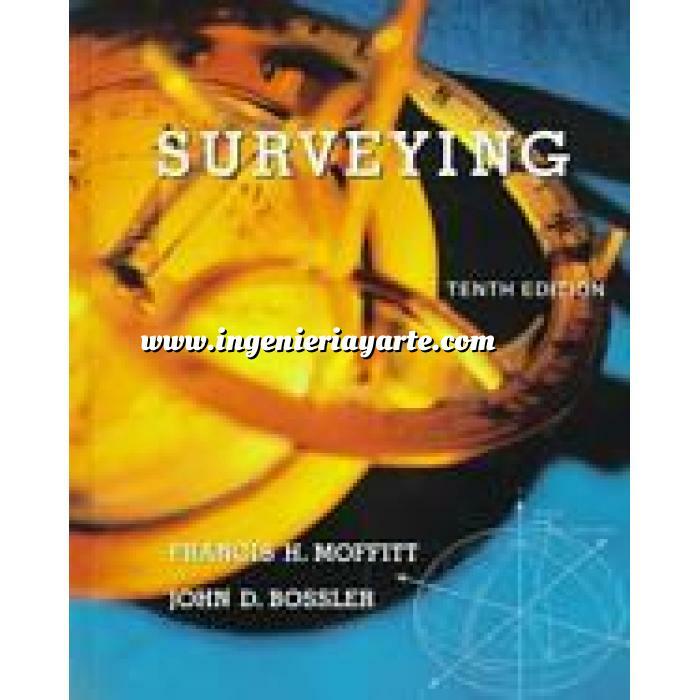 Librería Ingeniería y Arte : Ingeniería del terreno y geotecnia - Topografía - Surveying. Inicio > Catálogo Ingeniería del terreno y geotecnia > Catálogo Topografía > Surveying. The practice of modern surveying is undergoing rapid change due to the availability of electronically controlled instruments, the widespread adoption of the Global Positioning System (GPS), and the proliferation of various geographic Land Information Systems (GIS/LIS). The practice of modern surveying is undergoing rapid change due to the availability of electronically controlled instruments, the widespread adoption of the Global Positioning System (GPS), and the proliferation of various geographic Land Information Systems (GIS/LIS). Nevertheless, the principles underlying these new technologies remain constant. In the tenth edition of this benchmark text, Frank Moffitt and John Bossler strike the appropriate balance between teaching students the fundamental principles of surveying and bringing them up to date on the technological advances that are changing the field.The new edition of this classic work completely modernizes much of the notation, form, and substance of the original. By removing much of the dated information, the authors have been able to add entire new chapters on GPS and GIS. Throughout the text, emphasis is placed on NAD 83 over NAD 27 as the new datum is being utilized more frequently.Professors familiar with previous editions of this textbook will still recognize its clear, yet rigorous explanation of topics. No shortcuts are taken in the presentation of material from the time a concept is introduced through its exploration in worked examples. The book's tradition of covering both plane and geodetic surveying has been preserved, which makes it the most comprehensive introductory text on surveying on the market.